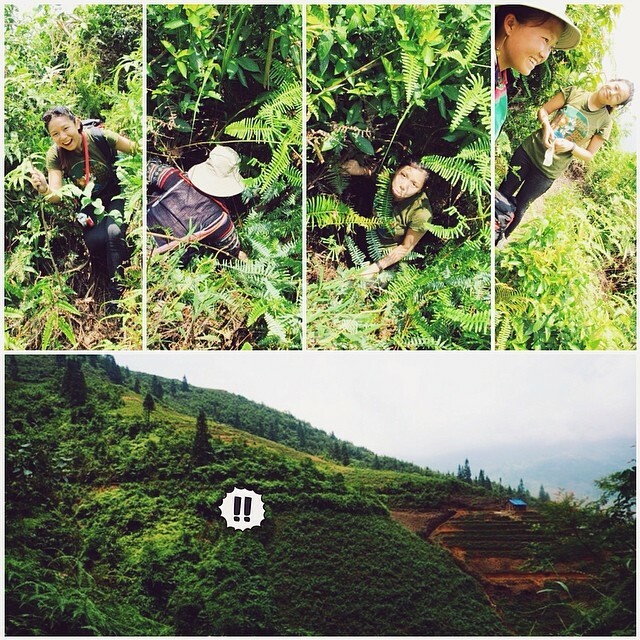 So, I would like to share a bit about my travel experience in Sa Pa earlier this year. About 7 months ago I decided to take a trip, and it was one of those ‘I-want-to-go-somewhere-anywhere’ sort of thing. I asked a friend working in Vietnam if she wanted to go on a holiday with me, and she suggested Sa Pa.
Before that, I had never heard of this town, and also since I’d already been to Vietnam twice I was a bit hesitant. But after looking it up online, I was sold – and so we headed there. There are no flights to Sapa. So we did what most tourists do, which was to take a 9-hour overnight ‘luxury’ train from Hanoi to Lao Cai. And then a bus, arranged through Sapa Sisters, our trekking tours company. It wasn’t too bad really, we could sleep on bunk beds in air-conditioned comfort. You have to be careful when booking this online though due to the language barrier, but that’s a story for another time… just make sure you check your ticket! We booked Fanxipan Express through Dragon Travel, which was pretty reliable and accommodating (on the miscommunication resulting in a wrong ticket booking). I would say this was really quite an experience for me. I’ve never been particularly fit, though I’ve been trying to become more active these last few years. So you can imagine that hiking up a mountain was somewhat taxing for me! It was fantastic though, the whole process of walking and walking and walking, on rough, pebbled paths, up and then down steep, muddy slopes (it rained the night before I think) and through tall vegetation – it got to the point where exhaustion took over and the mind was just focused on putting one foot in front of the other. But the views, oh were they worth the climb. Somehow, looking down at beautifully sculpted padi field after padi field and other general vegetation or crops was really relaxing. I guess the cool breeze up in the mountains contributed to that too. And we were SO lucky that it didn’t rain much while we were on the trek! And I know, it’s not climbing Everest or anything remotely like that, but the sense of achievement and satisfaction little ol’ me got from persevering all the way to the end of our 1.5-day hike spanning an estimated 20-30km of uneven terrain, to me, was priceless. Honestly the local Hmong people, like our guide, probably do this every day without blinking an eyelid, but for a city girl like me this was definitely something new. Especially when I fell down the side of the mountain. I guess the picture pretty much says it all – I was happily walking on a narrow muddy path through heavy vegetation and accidentally stepped onto plants instead of earth, and ended up sliding down the side. So I literally disappeared into a bunch of small trees growing from the slopes, and the guide had to pull me up (after I had climbed up a bit). It was really crazy, I didn’t even have time to think and was just like uhhh I’m in a hole? Anyway I emerged still chirpy and fine except for a few minor scratches, and we went on. Whoa we have so much more to go?! So besides trekking, we also stopped at villages for lunch and did a home stay with a local family. Food was good and portions were huge, they fed us really well. The sumptuous dinner feast at our home stay! Facilities were very basic, but the whole experience was kind of invigorating. A reminder that one can live simply and happily too. But okay fine, we didn’t rough it out all the way. We also spent a day in the town itself, which was pretty much for tourists – a mix of both international and local. It was charming, with many little marketplaces filled with local produce, snacks, handicrafts; full of colours and bustling with activity. Super nice right the room! And the hotel we stayed in, Sapa Paradise View Hotel, was totally amazing – clean, luxurious rooms, fantastic service (we were greeted with welcome drinks and snacks brought to our room etc) and great location. 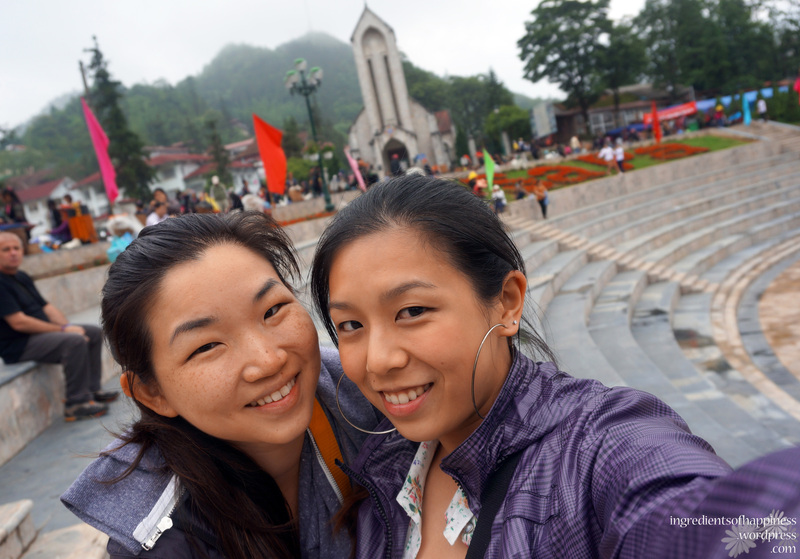 Totally recommend it if you are planning to go to Sapa! We just wandered around the town, fed ourselves with some hearty local dishes from the market, and thus concluded our quick 3-day Sapa trip. T’was truly a memorable holiday. Though next time, I’d probably wear proper trekking shoes…!